SOME QUESTIONS TEAR even the most united of households apart, and this is one of them. For some, the smell of a real Christmas tree is the entire season in a bottle. It simply wouldn’t be the same without that inimitable pine smell infusing the house. It’s distinctive, and it’s totally Christmassy. For others, the pine needles, hassle, admin and then resulting disposal headache associated with Christmas trees just isn’t worth the smell… Especially when, let’s face it, you can get a Yankee candle that smells just like it these days. … we want you to have your say on the right, correct, acceptable variety of Christmas tree. Email “Vote: Real Christmas tree or fake Christmas tree?”. 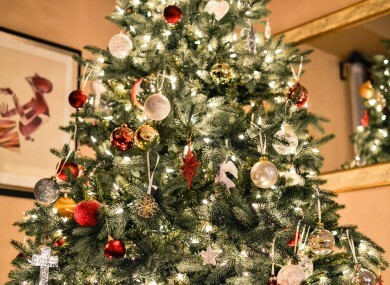 Feedback on “Vote: Real Christmas tree or fake Christmas tree?”.